It is true that most successful schools have clearly defined values but why does it make such a difference which ones you choose? How should you choose your values? How should you gain agreement and implement them? School values are used as a short hand way of writing down what, in the view of the school, would be the most important features of an ideal community. They form our cultural norms and as such should trump all other considerations and form the moral compass that guides and underpins everything that occurs within the community. If ‘Equality’ is one of your school values then you would expect all aspects of school policy to be underpinned by the need for equality, students treating others unfairly should expect to be corrected and so on. Some schools choose to align themselves to value frameworks that have already been developed or which reflect the national values of the country they are in. Here are some examples. Faith schools define the underpinning values using common language. Typically Catholic values for example are: Respect (for people and the environment), Love, Compassion, Justice, Care, Service, Forgiveness, Peace, Faithfulness, Honesty and Integrity. As a non-muslim I surveyed 20 aligned to this faith and found the most common values quoted were: Peace, Forgiveness, Contentment, Frugality, Generosity, Fairness. In reality, the diversity of our country and the range of influences on the web means, I would argue, that it is more important than ever to set the values of the school and have them agreed and explained, even if we believe they are generally accepted community values already. It would be hard to imagine a Headteacher leading a school that was based on a set of values which s/he did not subscribe to. 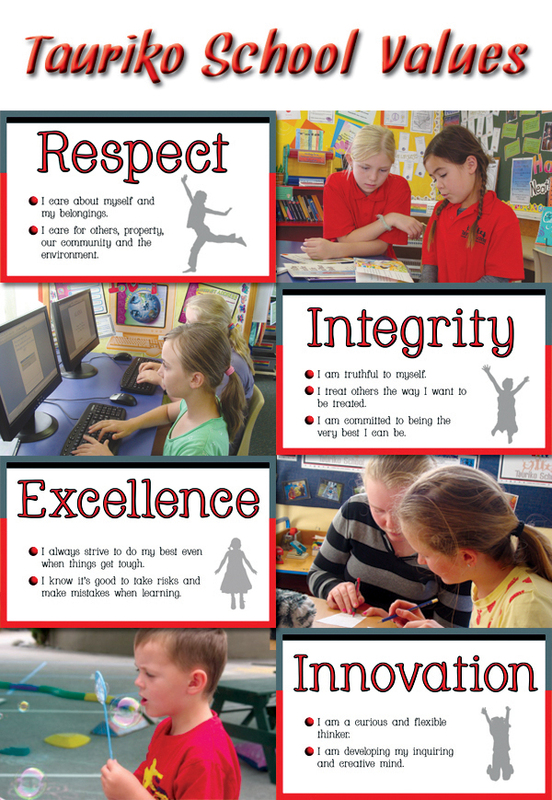 Setting these values is therefore a key role of the Headteacher. Alternately, schools exist as communities in their own right and are likely to live by an existing set of values so there is an argument for only appointing Headteachers who subscribe to, and maintain the agreed values of their community. Faith schools would typically appoint a Headteacher, for example who has already subscribed to the values of their faith community. Either way, it is essential that these values are clarified and stated clearly if the school is to develop its community and ethos in a sustained and coherent way. If these have never been expressed before or are not currently core to the operation of the school then there is a real opportunity to establish them. If you are reviewing the school there is a real opportunity to look again at the values and check they still align as core to the community. 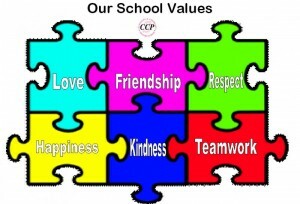 You could consider surveying the whole of your community to find the three most commonly agreed values or as the leadership team you could decide on the 5 or 6 values you feel are most important and then over time you will attract parents, students and staff who agree with you and wish to sign up to these? I have brought together some common examples here which all suggest quite a bit of variation both in actual values and in the methods used to arrive at them. The Wordle approach is common, in which you bring together everyone’s views in one document then paste it into http://www.wordle.com and get an image in which the most commonly written words appear larger. Given that values underpin our actions and our decisions, they should be reinforced extremely regularly because unless they are an integral part of everyone’s daily practice you cannot really claim them to be school values. For example if one of your school values is ‘Fairness’, then you would expect this principle to appear in assemblies, the way lessons are organized, the selection procedures for school trips, the allocation of classes, behavior management or in brief: everywhere. Students who say ‘that’s not fair’ are really stating that ‘fairness is a fundamental value of this community and it isn’t being applied here so you need to do something to redress this. According to Weinstein the values and ethics common to all societies are as follow. Having gone through such processes a number of times, I am drawn to the following values. Once agreed, you need to make sure your values are displayed in ways which can be clearly understood and used by the whole community. My favourites are probably those that reduce the number of values and then describe them in ways that the students will understand such as the following example.